Pictured from left are volunteers Eric Becker, Victor Gogal, Claudia Gogal, Wandi Little, Victoria Priester, and Dawn Yates. 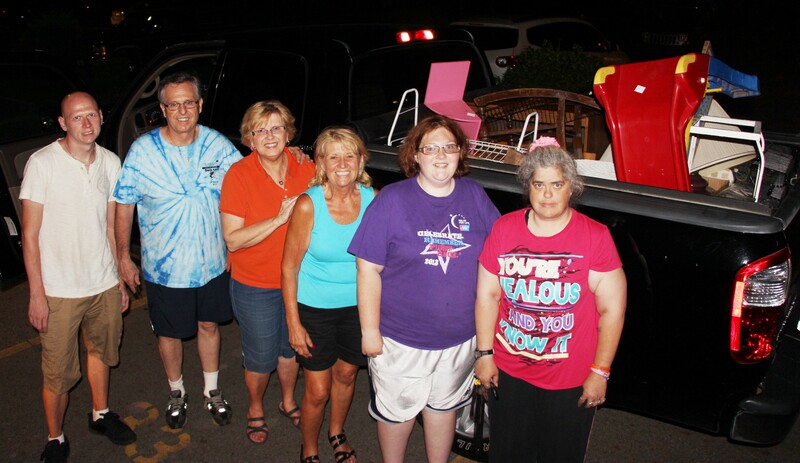 Pictured are volunteers that helped load and deliver leftover flea market items from last month’s Men of Marian flea market held at the Marian High School. The flea market was held during their annual community picnic. Remaining items were given to the Tamaqua Volunteers group for their Donation Drop-Off and Tamaqua Community Giveaway. Next event is set for next Saturday, August 29, 2015. Click HERE for more information about the upcoming event via Facebook.